The New York Red Bulls will be playing from behind next week thanks to Gregg Berhalter’s decisions and Zack Steffen’s talent. The New York Red Bulls are the best team in MLS regular season history, while Columbus Crew SC limped into the playoffs on the final day. The Red Bulls came into Sunday’s game fully rested, while the Crew just played 120 minutes on Thursday. And yet, the Crew scraped out a 1-0 first leg win, sending them to New Jersey with a serious chance to advance to the Eastern Conference final. 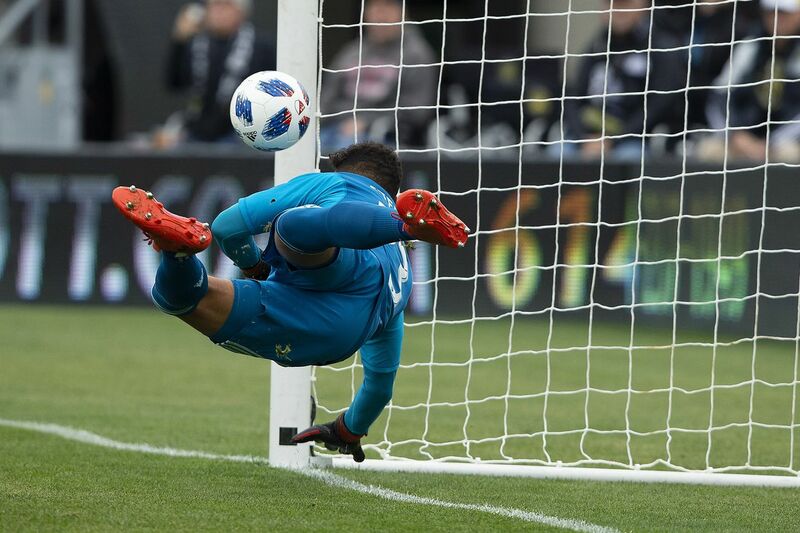 It took a bit of luck, but more importantly, some brilliant play by Crew goalkeeper Zack Steffen and some very good roster management by presumed-next USMNT manager Gregg Berhalter. 34-year-old Federico Higuain played his tail off for all 120 minutes of Crew SC’s match against D.C. United on Thursday, and it was unlikely that he could give his team another quality 90 minutes against the Red Bulls. So Berhalter rested Higuain for the first half and appeared to set up his team much more conservatively than he usually does at home. Higuain’s replacement, Patrick Mullins, did not have much chemistry with starting striker and 19-goal scorer Gyasi Zardes. Here’s their attempted passes to one another. Yes, all of them. The Crew, as a team, also only managed three shot attempts in the first half. But Berhalter brought Higuain in for Mullins to start the second half, and instantly the Crew looked more positive. And 16 minutes later, Higuain provided the assist for a classic poacher’s goal by Gyasi Zardes. Higuain didn’t have 90 excellent minutes in him on Sunday, but he did have 45. And Berhalter picked the right 45 to use him. Zack Steffen has cemented his place as the new USMNT No. 1, and for good reason. He redeemed himself after an error against D.C. United in the knockout round, making two saves in the penalty shootout. And he was at his absolute best against the Red Bulls, making three particularly great highlight plays while keeping a clean sheet. This first one, we’ll admit, is a bit lucky. But this one certainly isn’t. And then this reaction stop, in the 93rd minute, was absolutely outrageous. A big upset is brewing here, and this result set up what should be a bonkers second leg. You can catch it next weekend, on Sunday, November 11. Alex Ovechkin has answered every question. Don’t doubt him.